If you want to stay dry, you need the best waterproof gear to suit your needs! 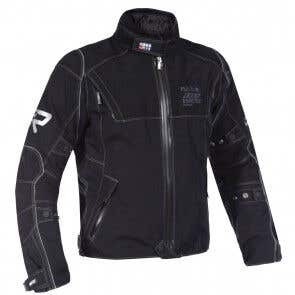 Good quality textile clothing allows all year round protection. Warm and dry in the winter and removable thermal linings allow use during warmer weather; all without compromising safety. And nobody likes being soggy. 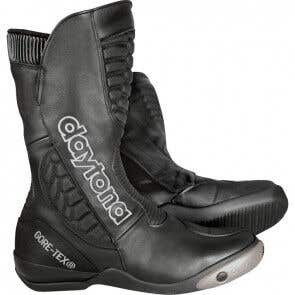 We have a range of choices for staying dry, from oversuits to armoured jackets, available for all your needs. You may also want to read our Best Waterproof Gear Guide for ideas on the different combinations for different budgets. Textile jackets resist water far better than leather and many have waterproof membrane which keep water out while still allowing your skin to 'breathe'. 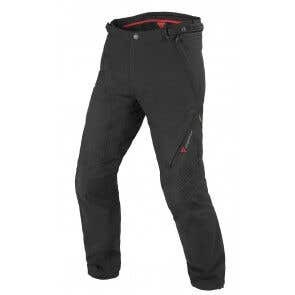 Textile trousers, much like their jacket counterparts, are designed to keep out the rain while also being breathable. That means you comfortable in all conditions. 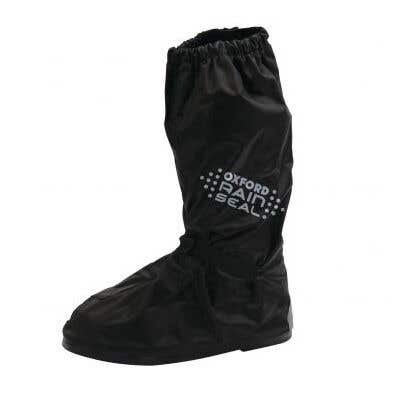 These items are designed to be worn over your current gear to keep the rain out. They can easily be carried in a bag, ready for when you need them. Wet socks are the worst. Waterproof boot are the best. Even once it has stopped raining you'll still have puddles to wade through. A wet hand is a cold hand, and a cold hand doesn't grip as well. 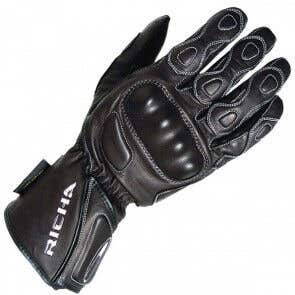 These gloves have both leather and textile options. Breathable textile clothing relies on the outer fabric being clean to work their best, and some textile garments need to be re-treated to maintain their effectiveness.